Stefan Bauer is a founder and CTO of RVAEd, an analytics company specializing in higher education, in Richmond VA. 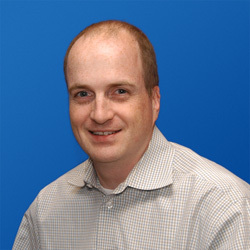 He has worked in Business Intelligence and Data Warehousing since the late 1990’s on a variety of platforms. Stefan has created warehouse and business intelligence solutions for banking, retail, marketing, and insurance companies. Stefan has worked with most major databases including Oracle, Informix, SQL Server, Amazon Redshift as well as other data storage models such as Hadoop and Mongodb. Stefan provides insight into hardware architecture, database modeling, as well as developing in a variety of ETL and BI tools including Integration Services, Informatica, Analysis Services, Reporting Services, Pentaho and others. In addition to traditional development, Stefan has authored the book “Getting Started with Redshift” and enjoys teaching topics on architecture, database administration and performance tuning.